ITP President Mike Dennehy, Director of Digital Capability Daniel Merriott and I have just finished a national tour, visiting all of our branches and giving an update on our strategy and work programme. It was awesome catching up with our local branch committees and members from across New Zealand. It's actually my favourite part of the year - engaging with our people and talking through what's happening across our cities. ITP has branches in Auckland, Wellington, Christchurch, Hamilton, Tauranga, Dunedin, Nelson and Palmerston North and without exception, we have a passionate group of people in each branch keen to make a difference to our sector. 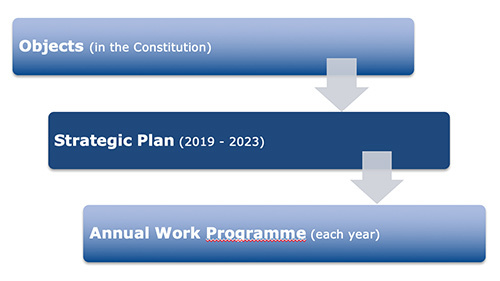 ITP President Mike Dennehy introduced the new Strategic Plan for the organisation at these sessions. This came about following a detailed Strategic Retreat by the National Board and I, along with ITP Fellow and past President Don Robertson as Facilitator. Each of these Objectives have a set of Key Outcomes and each Key Outcome has a range of Success Measures, some objective and some subjective. 1.1 A mature pathway exists to transition students into the profession. 1.2 New entrants to the profession are well supported in New Zealand. 1.3 Professionals are supported to advance within clear profession pathways. 1.4 ITP operates a respected and well utilised event and conference programme. 1.5 There are well-structured programmes in place in New Zealand to transition people into new digital tech roles. 1.6 ITP provides a range of quality services to members. 2.1 ITP provides well known, respected and utilised "quality marks" that recognise good IT Professionals. 2.2 New Zealand IT Degrees are accredited by ITP on behalf of the profession. 2.3 ITP recognises the reciprocal skills of potential immigrants. 3.1 Enough people are entering the profession to meet the industry's needs. 3.2 ITP operates a successful programme embedded in schools, helping students discover their future in our profession. 3.3 ITP's work helps the profession to become more inclusive and diverse. 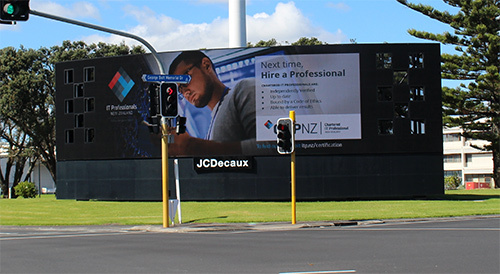 3.4 ITP promotes certified professionals and professional practice in New Zealand. 4.1 The NZ Government uses ITP as its preferred and trusted independent policy advisor in relation to Digital Tech. 4.2 ITP promotes and advocates for the ethical use and development of technology. 4.3 ITP facilitates the development of good quality qualifications in Digital Tech. 4.4 ITP and its members are globally recognised and connected. 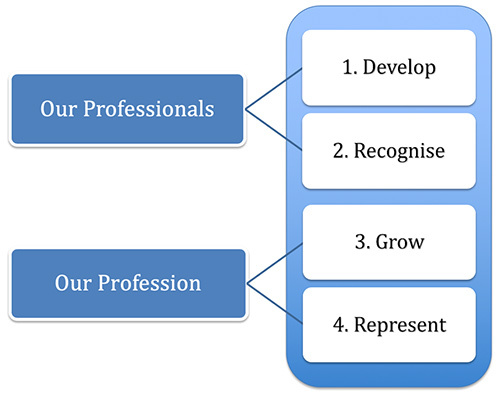 4.5 ITP has a modern, inclusive membership structure in place. These 18 Key Outcomes define our overall strategic priorities for the next few years and each Outcome has a list of Success Measures attached, outlined in the full Strategic Plan document below. Feedback to the Strategic Plan has been hugely positive during the national roadshow visits, and a huge thanks to those who came to our events, engaged, and discussed the plan. View the full Strategic Plan (including Key Outcomes and Success Measures). If you didn't get along, or had other questions, thoughts or feedback after our events, we really want to hear from you. Drop us a note at strategy@itp.nz. We also have a full work programme for the year as outlined a few weeks ago and will talk about that some more in next week's Newsline. Suffice to say that Chartered IT Professional and Certified Technologist certifications are absolutely front of mind in 2019. You'll be seeing far more components of this campaign - both offline and online - over the coming months.